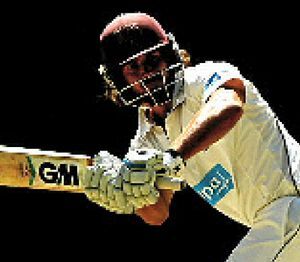 QUEENSLAND looks headed for a draw in its opening Sheffield Shield match against South Australia at the Adelaide Oval, despite a very sporting declaration by the Redbacks. The home side declared 75 runs behind at 4-368 when Callum Ferguson reached 100 during the second session on day three. Queensland then lost opener Marnus Labuschagne for a duck and fellow newcomer Ben McDermott for two. New South Wales was in trouble in its game against Victoria at the MCG, going to stumps at 2-106 in its second innings, still 35 runs behind Victoria which declared its first innings closed at 5-507. David Hussey top scored for the Bushrangers with 139, while Peter Hanscomb (108 not out) and Dan Christian (105no) also hitting tons.